1. 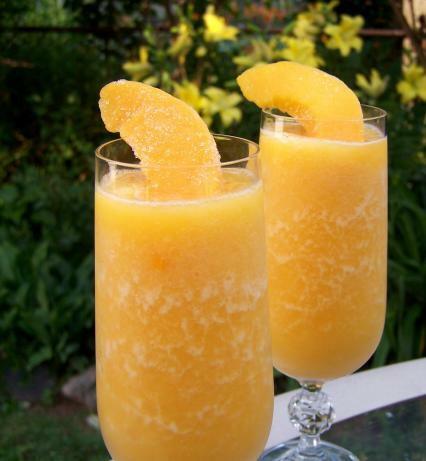 Add a few frozen peach slices and liquor to blender and puree. The mixture should be taking on a slushy type texture. 2. Taste and add more liquor or peaches as needed. Add ice and continue to blend until a nice frozen texture is acquired. Pour into glasses and garnish with peaches.